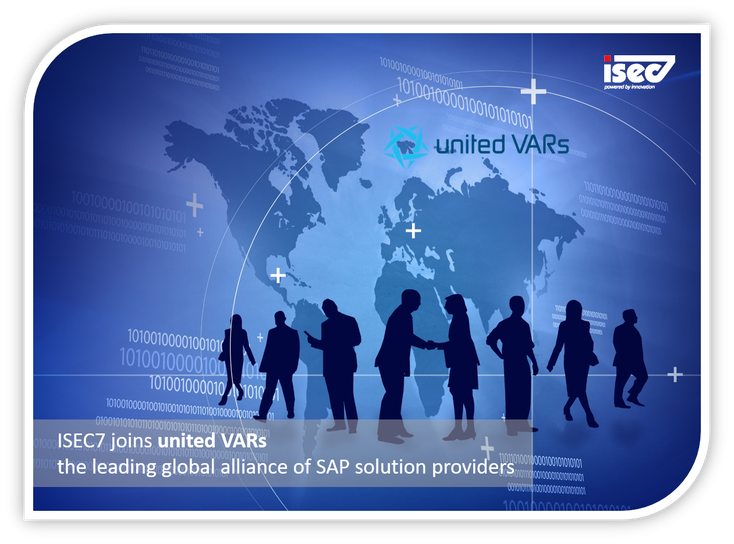 The enterprise mobility expert ISEC7 Group (ISEC7) today announced that it has become a partner of the international alliance of SAP solution providers United VARs. The consortium combines the leading solution providers across the world to guarantee the best service and support for international roll-out projects, ERP optimisation projects and cross-border nearshoring. With its long-term experience in the enterprise mobility market and its leading mobile SAP solution, ISEC7 Mobility for SAP, ISEC7 brings in noticeable added value to the alliance. Furthermore, ISEC7 customers can now rely on an even broader network with experts all around the globe.